Take this year's Christmas jumper off-piste with this supersoft brushback piece, featuring festive logos. 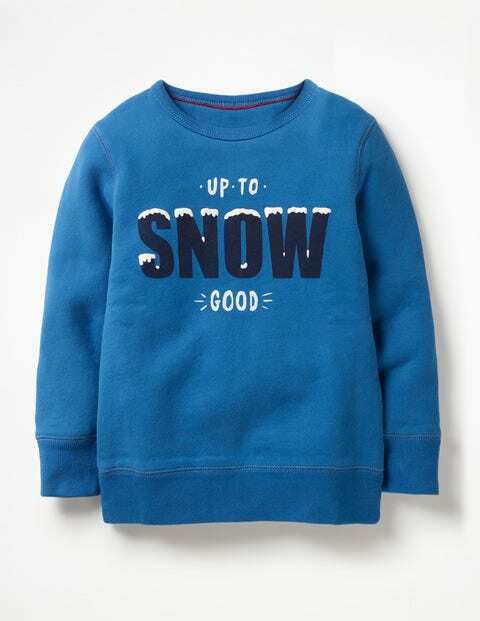 Santa's elves have put it together from 50% seasonal cheer and 50% ice-cool design (oh, and 100% cotton too) Rock in the guitar option or feel the raised puffy print of the snowy writing. Whatever wintery adventures await, it's machine washable for a quick turnaround.